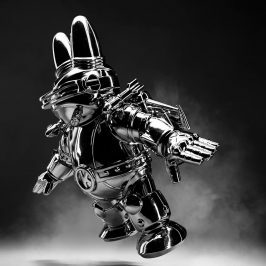 Collecting designer toys is fun, but once you have them all, where do you put them? 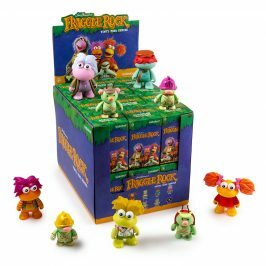 It can become a problem if you’re living in a small apartment and don’t want it to feel cluttered or overrun by your toy collection. Kidrobot’s own Grace welcomed us into her Brooklyn apartment to show how she’s chosen to incorporate toys into her home design aesthetic. KRonikle: Why do you have so many toys? 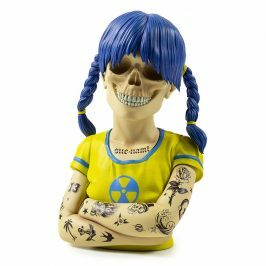 Grace: Well, it helps that I work for a toy company, but I’ve always collected toys. KR: Can you tell us how you started collecting toys? 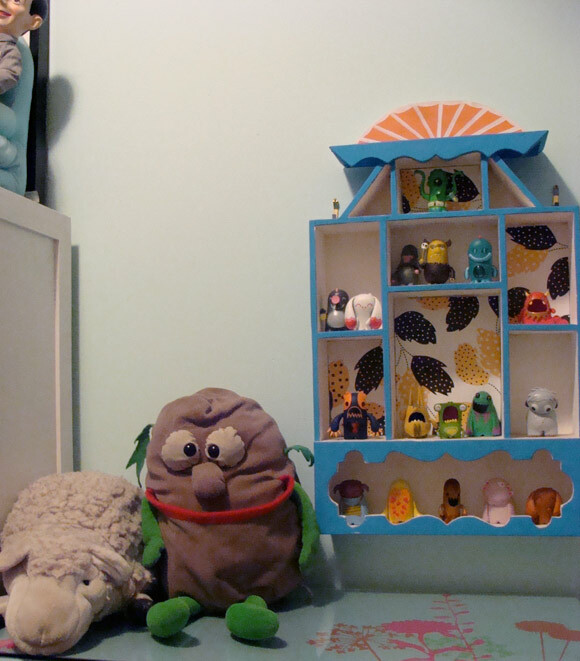 G: My dad originally collected toys that he found in parking lots while working as a landscaper. 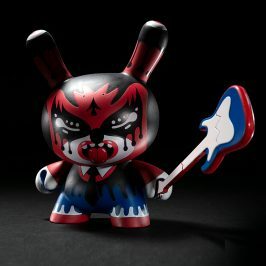 He then started collecting designer toys and began ordering from Kidrobot back when it was only a web site, and that’s how I was introduced to Kidrobot. I got really into James Jarvis and started going to the San Francisco store to buy toys when I lived there. KR: Your apartment is nicely decorated with many things other than toys. 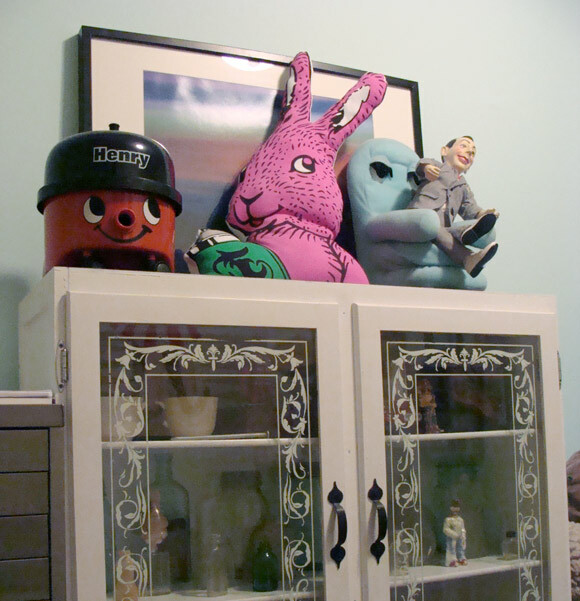 How do you incorporate toys into your interior design without making it look like you’re a toy collector? G: I think the key is just having an actual place for everything. We have a whole lot of stuff – people are always amazed when they come into our apartment – but every single thing has a specific place so it never looks messy or overly full. We decided to spread the toys out around the apartment instead of grouping them all together on one shelf or in one room. I like to think of them more as decorative objects so they’re incorporated with other objects like vases or photographs. 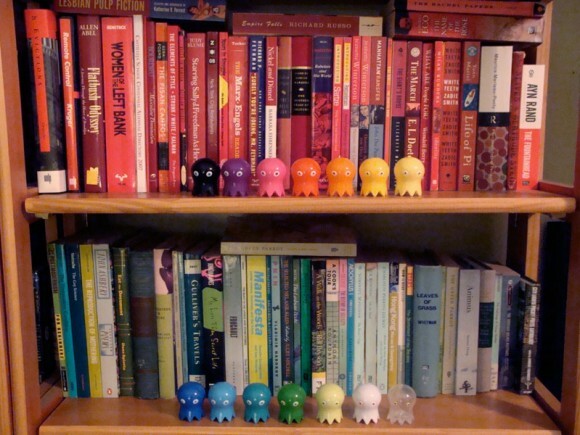 We match colors – for example, the miniTotem Doppelgangers are color coded to the books on the bookshelf that are also organized by color. They kind of blend in, but when you take a closer look you see that they are actually toys. 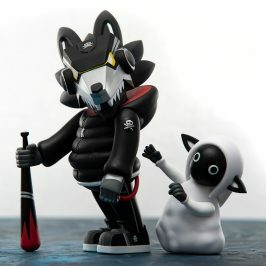 KR: Do any of the toys in your apartment have what you would consider “practical” uses? 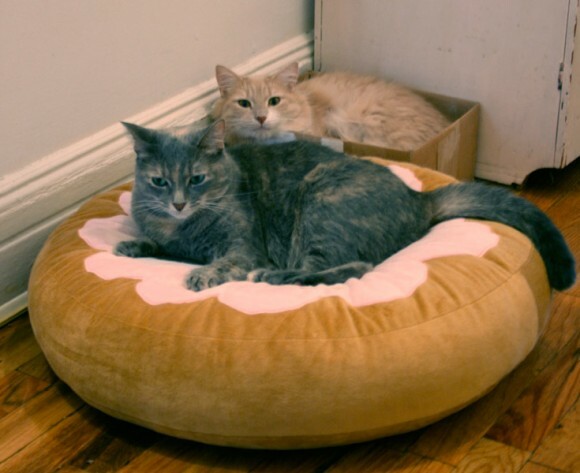 G: This is a Yummy Donut Plush that we use as a cat bed for Francie. It’s a nice way to have a giant donut actually serving a purpose in your house. It’s not as obvious as having a giant donut pillow just sitting on your couch, and Francie likes it a lot. 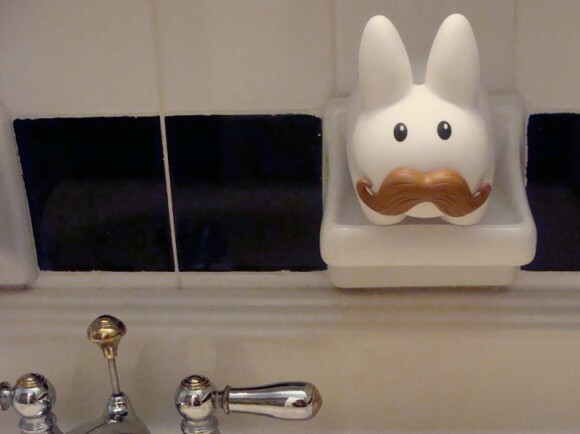 KR: Why the Happy Labbit in the bathroom? 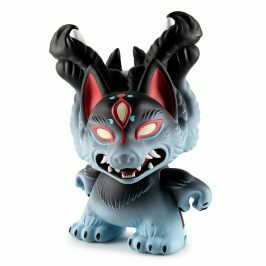 G: Well, you can’t have that many decorative objects in a bathroom because the moisture and humidity would damage most art, so a vinyl toy seems like the most appropriate thing to decorate a bathroom with. Plus, I can just put him in the sink to clean him. KR: What are some other original or creative uses of toys in your apartment? 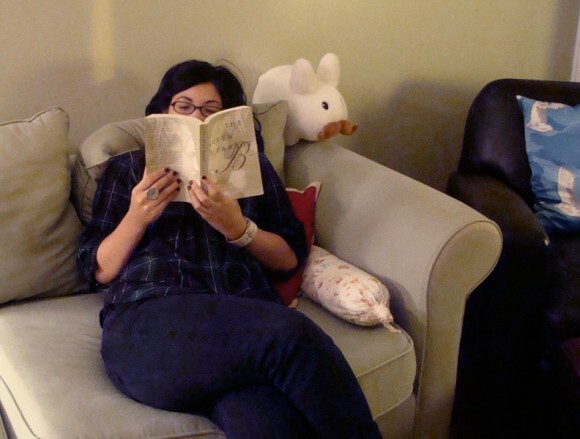 G: I took this Aiko Bunny crewneck sweatshirt and cut out the bunny and turned it into a pillow. I really like the bunny design but am not really the type to wear it around, but I was able to take the art and turn it into something else that I now use to decorate my apartment.